This book picks up exactly where the last book, After: the Shock finished. That’s always a good start in by view! In the sequel we catch up with one of the characters from the last book and of course meet a few more. I said this in my review of the first book, that these aren’t zombies as such, they are zapheads. At the end of the last book there are some observations that the zapheads are starting to change. Much of their initial violent behaviour seems to be leaving and they seem to be banding together and starting to work together. This continues in this book. The book itself romps through. 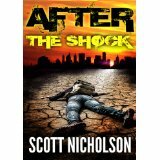 I couldn’t put it down once I’d started, but I do tend to find that with Scott Nicholson books. They are real action books. It flips between the different groups of characters and keeps you on the edge of wanting to know what happens next. Anyway, the story clearly hasn’t finished and you are left with a cliffhanger, so I guess there will be another book out soon. OK, I’ll start by saying this isn’t exactly zombie book. This is about ‘zapheads’. They are sort of zombie-like so I’m going with the flow on this. It was on my Amazon Prime list and I’ve read a couple of books by the author so I thought I’d give it a go. I found the other books I read by the author, Liquid Fear and Chromic Fear, to be pretty fast-paced stories. I bought them as holiday reads and they worked perfectly for that. Anyway, onto the story. I’ll try to keep it a bit vague and not to give too many spoilers. It starts a little while after an event which has affected the large majority of the population. There has been some sort of sun flash which seems to have zapped people’s brains, hence the name zapheads. These zapheads are roaming the streets and attacking and killing people. They seem to be full of hate and anger. It’s a similar type of idea to Haters by David Moody (now that’s a good series). 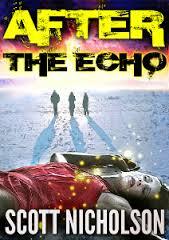 The story focuses around a couple of small groups and how they are surviving and how their paths cross. Rachel is one of the key characters and she’s on here own trying to get out of the city. We don’t know much about her but there are plenty of internal flashbacks to build her story. She meets up with another guy and the soon find a 10 year old boy in a hotel room. Their paths cross with a bunch of slightly insane military bods who seem to be doing just as much damage as the zapheads. There’s also a couple of university lads trying to keep it together who meet up with another small group, who are having their own power struggles. Eventually all their paths cross. There’s also a third storyline with and older survivalist kind of guy who takes in a mexican family. Towards the end of the book it also starts to become apparent that the zapheads seem to be evolving and starting to sort of work together. It’s a fast-paced book and some of the characters work really well. Everyone is dealing with the situation in their own ways. There’s not really anything new in this book, but it all fits together well and keeps you gripped. It didn’t take too long to read. That’s the kind of annoying bit. The book ends, just as it’s starting to get going. The groups have met up, the zapheads are evolving and then that’s it. But, do you want to know the most annoying piece? I was reading it on my Kindle and the story ended while my Kindle was only on 89%. That drives me mad! The remaining 11%, yes 11%, was padded with info about other books by the author. C’mon authors, when a does a book get split into smaller books and become a series? I like a good series, but I also like to feel like I’ve read a whole book!